Like many artists, Thomas Cole traveled extensively, sketching views that he would later include in finished (and much larger) paintings. On a trip to the Upstate New York region, he sketched Deh-ga-ya-soh Creek at what is now Letchworth State Park in Mount Morris. 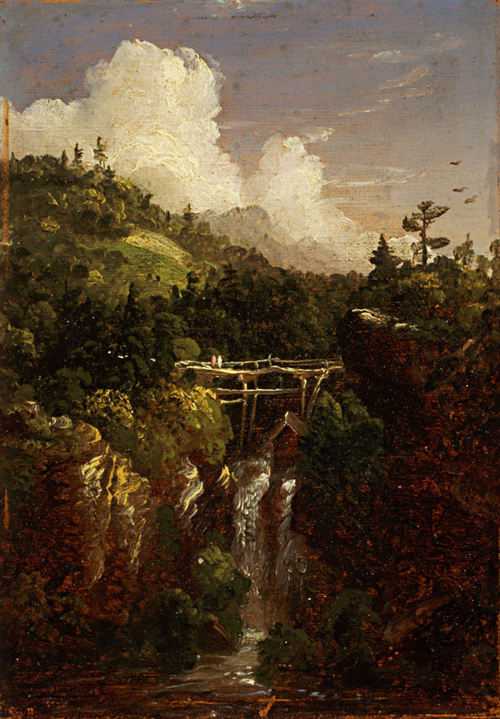 Later that year, he used the sketch to create this study, which ultimately became the subject of the 'Genesee Scenery' (1847, 51 x 39 1/2 inches, owned by the Museum of Art, Rhode Island School of Design).